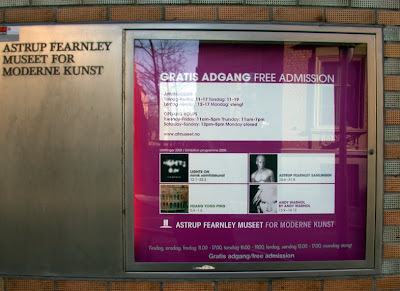 Today, I went to the Astrup Fearnley museum for modern art. 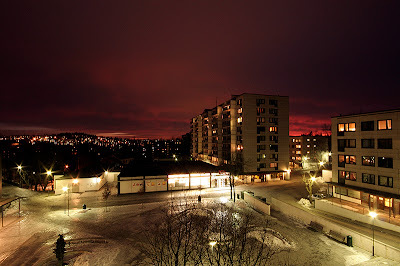 The exhibition "Lights On" shows contemporary art by up and coming Norwegian artists. I think it was a great and interesting exhibition that I would really recommend to anyone visiting Oslo these days. The admission is free, what can be better than that? 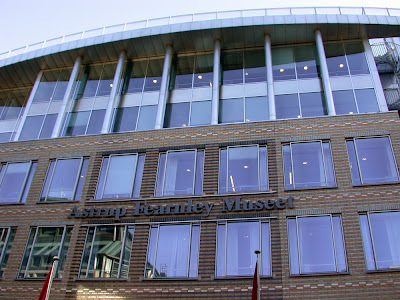 Astrup Fearnley Museum of Modern Art is a private contemporary art museum that produces temporary exhibitions of international art. We welcome the public to an exciting exhibition program, which include the greatest names in the international arena of art. 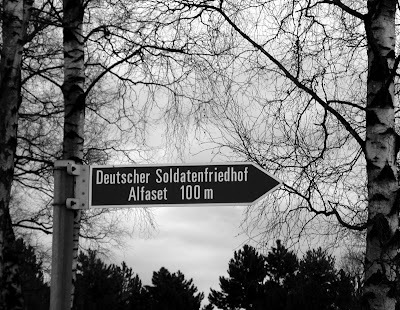 This is another photo from the cemetery at Alfaset and the German soldiers' graves. 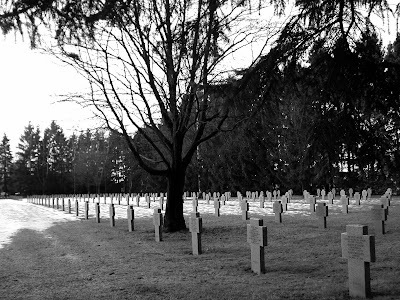 At another Oslo cemetery is an area of graves where other soldiers were buried; the allied - mostly British soldiers. It's sad to think about all these young men who died way too early. 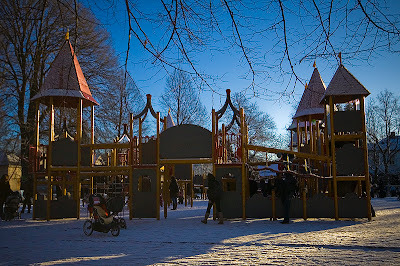 Alfaset cemetery is quite large and situated in the northern parts of Oslo, quite far from the center. 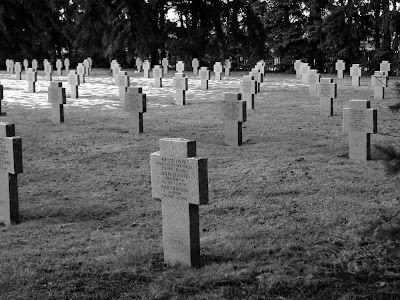 Apart from the "normal" graves, there is one specific area for gypsy graves, one for muslim graves - and there is the cemetery for German soldiers who died in Norway during World War II. I've visited a few times. Even though they were our enemies, it's quite heartbreaking to see all the stone crosses, each with three names on each side. I don't know how many crosses are there, but this photo only shows one part of the cemetery. 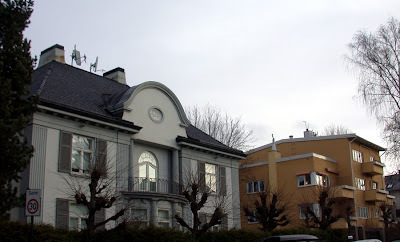 Some fashionable houses for you today. 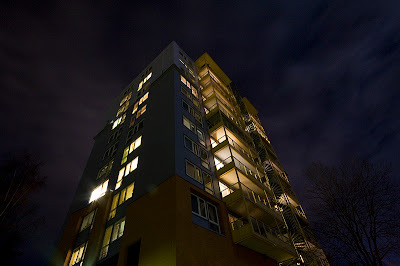 These are from the Frogner area, right next to the Vigeland park. 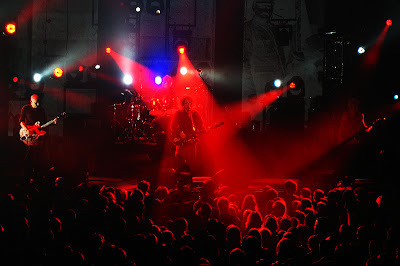 The Cure was in Oslo last week, and they gave their fans a great concert! "Out of all the bands that emerged in the immediate aftermath of punk rock in the late '70s, the Cure was one of the most enduring and popular. 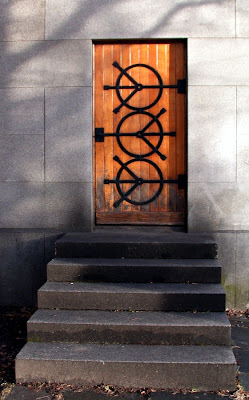 ...read more"
This door leads up to a small building right next to the main gate of the Vigeland park. I have no idea what this little building is for, but I like the door. Best wishes for the weekend to you all! 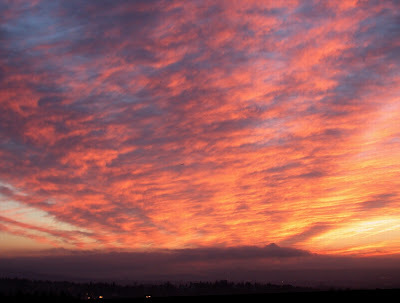 A lovely sunrise over Oslo, today. Can you spot the airplane? 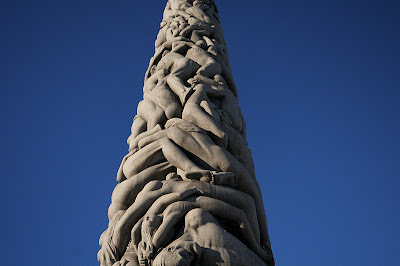 This is a closer look at (part of) the Monolith by Gustav Vigeland. The Monolith towers 14.12 meters (46.32 ft.) high and is comprised of 121 human figures rising toward heaven. 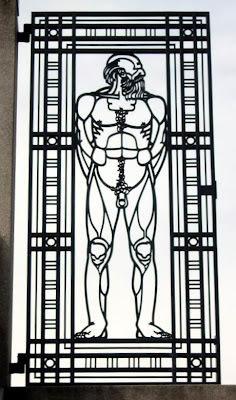 This is meant to represent man’s desire to become closer with the spiritual and divine. It portrays a feeling of togetherness as the human figures embrace one another as they are carried toward salvation. 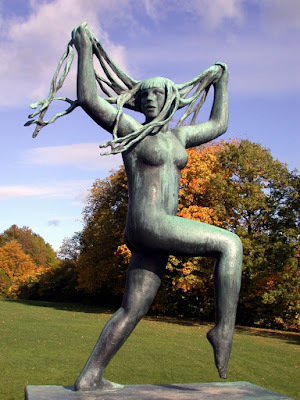 More info about the Vigeland Sculpture Park (Wikipedia). 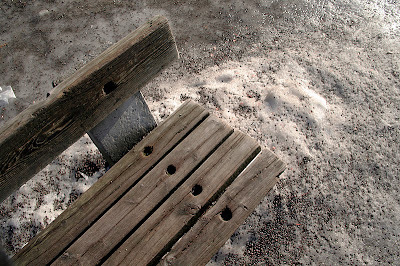 More photos from the Vigeland park. We're getting closer to the Monolith, which is placed on a plateau, surrounded by sculpture groups. To get to the plateau, you can pass through several gates. This is one of them. 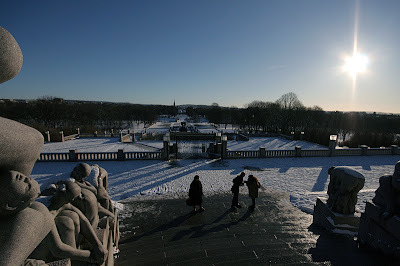 Another Vigeland park-photo. 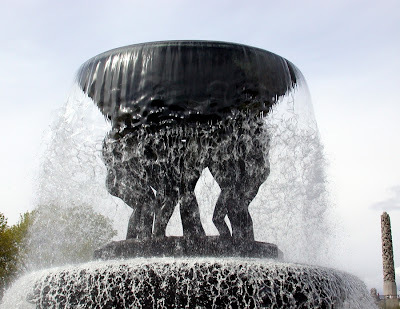 This is one of the sculpture groups surrounding the huge fountain from yesterday's post. After crossing the bridge you'll see a huge fountain with a square pool around it. On the ground surrounding the pool there are tiles forming a maze/labyrinth. Kids love running around, following the pattern. 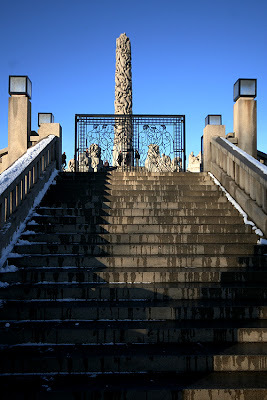 Let's continue our tour through the Vigeland park. As you can see, some of these photos are not from this season, but hopefully that won't matter. This is one of my favourites, this woman seems to be very free and happy.